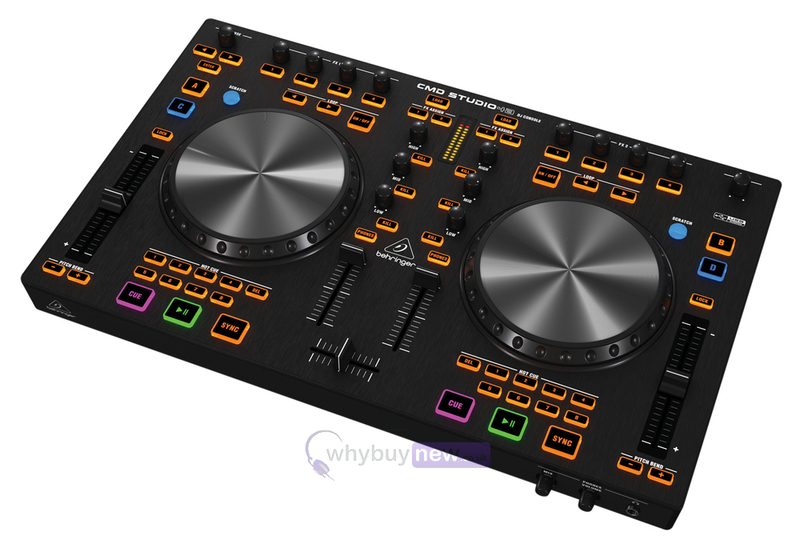 Behringer CMD Studio 4A is a professional digital DJ controller which combines high-quality construction with huge functionality to create Behringers most impressive DJ controller to date. This 4-Deck controller is equally at home on-the-road with a mobile DJ, in the booth of a nightclub or at the centre of a high-end home-DJ setup. CMD Studio 4A comes bundled with Deckadance DJ software so you can be up and mixing in minutes. CMD Studio 4A is also compatible with most popular DJ software including Traktor, Serato and Ableton Live. Behringer CMD Studio can be used with both Mac OSX and Windows operating systems and offers plug-and-play functionality with no driver required making installation and setup incredibly quick and simple. One of the things that you will notice first about the CMD Studio 4A is the 6" jog wheels and full-size faders. Behringer have done everything possible to ensure that the CMD studio feels intuitive to use and gives maximum control to the professional DJ. The large high-resolution platters are touch-sensitive making them perfect for scratching, cueing and pitch-bending. Pitch faders are industry standard 100mm and channel faders are 60mm allowing for precise control. Behringer CMD Studio 4A has onboard 4-Channel USB audio which provides extremely low latency. 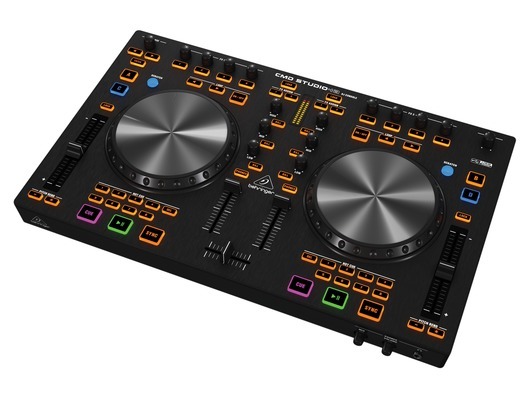 Behringer DJ controllers are built only with components that meet the exacting standards of Behringer and designed to meet (and exceed) the standards of professional DJs. CMD Studio 4D is also built to be physically robust and reliable enough to deal with the rigors of a life 'on the road'. 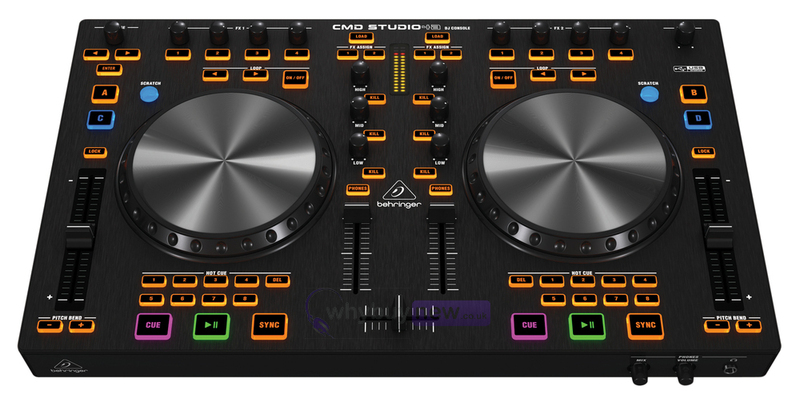 In addition to the ergonomic and precise control offered by the large jog wheels and faders, CMD Studio also hosts a serious array of other controls designed to give the DJ complete creative control over their mix. No less that 8 illuminated hot cue buttons are available on each channel along with controls for loop, eq and kill. 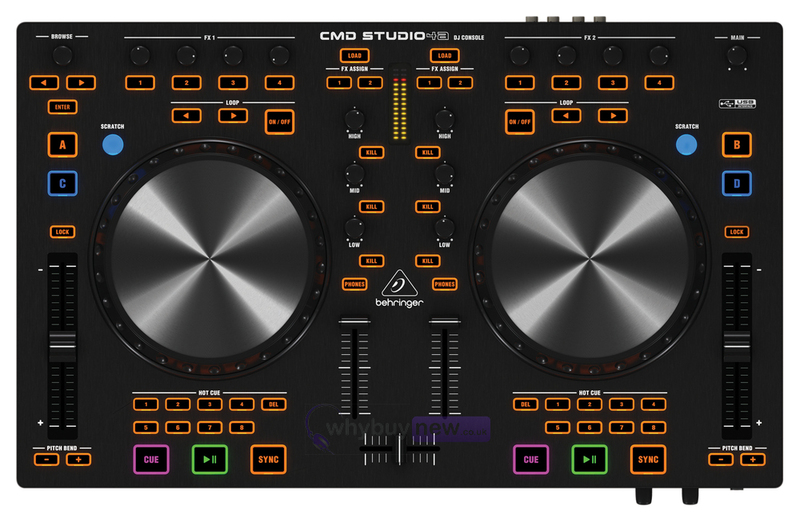 Behringer CMD Studio 4A incorporates all the functionality demanded by a professional DJ but at a price that makes it accessible to most.